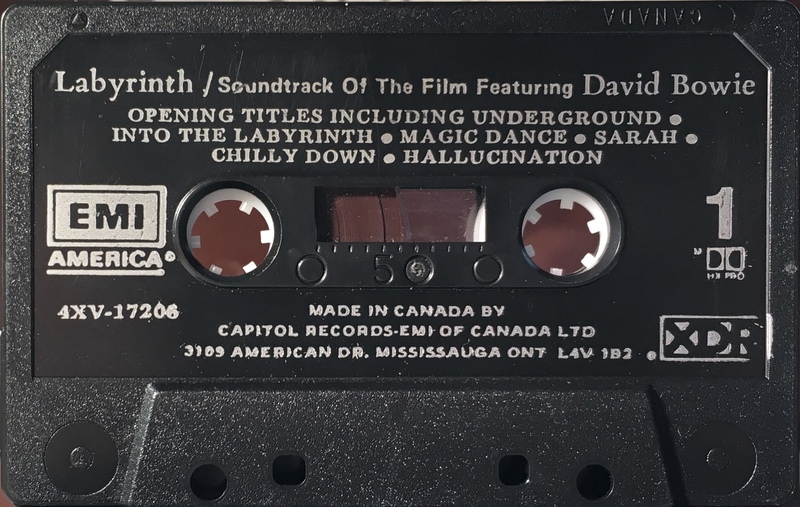 Labyrinth: Canada; EMI America, 4XV-17206; 1986. 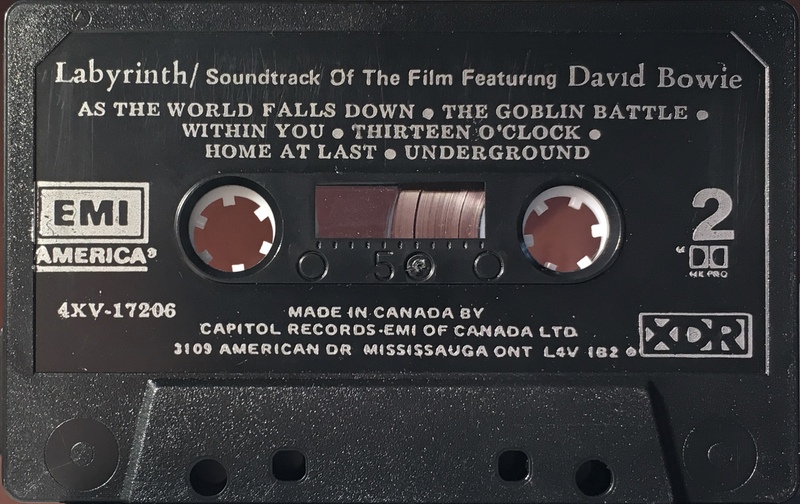 ‘The Soundtrack Of The Film “Labyrinth” Featuring David Bowie’. Cover photo bordered in white with all white panels. Folded, treated, thick paper with track list on the rear half-panel. Writing and performing credits on inner and inside panels. ‘XDR’ logo on rear panel. David Bowie performs on six tracks: ‘Opening Titles Including Underground’, ‘Magic Dance’ and ‘Chilly Down’ on Side 1; and ‘As The World Falls Down’, ‘Within You’ and ‘Underground’ on Side 2. Silver ink printed directly to black shell, stamped ‘Canada’ with ‘EMI America’, ‘HX Pro’ and ‘XDR’ logos on the shell. ‘Made In Canada by Capitol Records- EMI of Canada Ltd’.